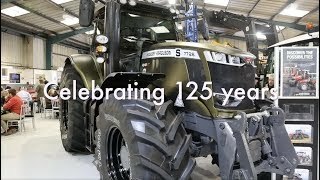 Just over two years ago, there were no Valtra tractors in WR Chapman & Son’s extensive machinery fleet. Now there are 12. David Williams reports. Norfolk-based farmer and contractor WR Chapman & Son operates a huge modern machinery fleet, allowing the family-owned business to provide an efficient and timely contracting service to farms within a 30 mile radius of its Lilac Farm, Eastmoor base. Harvesting and spraying are main activities and 2 forage harvesters, 3 combines and a sugar beet harvester are owned, along with approximately 15 tractors and a wide selection of trailers. As well as farming its own 525ha, approximately 800ha are contract farmed stubble-to-stubble with all fieldwork carried out by the company. Within the crop rotation maize is grown for a local AD plant and the company has a 10-year contract to drill and harvest more than 2,450ha of rye and maize in the local area for the plant. Included in the machinery fleet are three Dezeure overload trailers with moving floors, bought to cart maize in the field from harvesters and tip directly into waiting lorry trailers at the headland. Two precision drills establish the crop and a recent major purchase was a large self-propelled slurry injector, mainly used for digestate from the plant. The Chapman family is spoiled for good dealers nearby representing all the main tractor brands, so when new machinery is needed there are always plenty of options to consider. “Our customers expect an efficient and reliable service, which means machines have to be kept working. To do that we rely on our teams of full- and part-time staff, having the right machinery for the job and great back-up from dealers when things go wrong, which they will sooner or later,” said partner Will Chapman. The business was started in 1971 by William ‘Bill’ Chapman when he purchased a Whitlock digger for £275 and began a plant hire service. A small area of land was owned and farmed using a limited selection of machinery. Bill’s son Bernard ‘Bernie’ joined his father and eventually took over running the business and hoped sons Will and younger brother Ben would eventually join the business. Will enjoyed farming and working on farm machinery but wasn’t as interested in plant hire and, on leaving school he worked for local farmers and agricultural contractors as a machinery operator. Ben joined the plant hire business and, in 2007, Will was given a choice; to either come home and look after the family’s expanding farm and build his own successful contracting business, or make a career elsewhere. He returned home and machinery was purchased for dual roles on the family farm and for the expanding contracting operation. A self-propelled sprayer was purchased for which demand quickly grew, then a combine joined the fleet with harvesting added as an additional service. The plant hire fleet also expanded, including running more than 20 large loading shovels for British Sugar across 4 processing factories. Will took over running the business in 2015, and now the farm and agricultural contracting activities dominate activities and are run by Will, his wife Alex, brother Ben, father Bernie plus farm manager Paul Addison. There are 23 full-time staff and additional labour is taken on from June to October for the busy season from the start of wholecrop rye harvesting through baling, corn carting and then maize harvest. Most seasonal labour is from New Zealand as the Chapman’s busy period coincides with it being quiet there, and the work ethic and productivity of New Zealanders is considered excellent. Bernie continues to oversee the plant hire business which specialises in irrigation reservoir construction and quarry equipment and the fleet includes four articulated lorries, mainly for bulk transport but also to move machinery by low loader. In 2016 local Agco dealer Thurlow Nunn Standen demonstrated a new cereal drill, which arrived on the farm behind the dealer’s demonstration Valtra. “We hadn’t considered Valtra previously but when our operators tried it with the drill they were impressed by its performance and comfort. 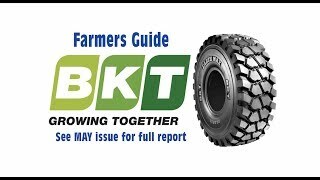 So, when we were in the market for two new tractors just a few weeks later we asked the dealer for a quote,” explained Will. Two new 250hp Valtra T234s were delivered in June 2016 just as new area sales manager Jolly Bullen joined the dealer’s team. “They were the first Valtras we supplied after taking on the franchise,” he explained. “They quickly impressed the Chapmans to the extent that two more were ordered in early 2017, followed in September 2017 by five more, replacing another brand hired for the busy summer period. All the tractors are black with black wheels, tinted windows and silver decals matching the Chapman’s trailer fleet, and each has the New Zealand Silver Fern emblem on the bonnet. The Silver Fern celebrates the addition to the team of Will’s wife Alex who is from New Zealand having met Will when he was contract combining for a neighbouring farm where she was working as seasonal labour. So far the tractors have all been Versu versions with powershift transmission which has proved efficient and easy to use, but Will and Ben are keen to try a Direct CVT model for extra speed flexibility, particularly with drilling in mind.